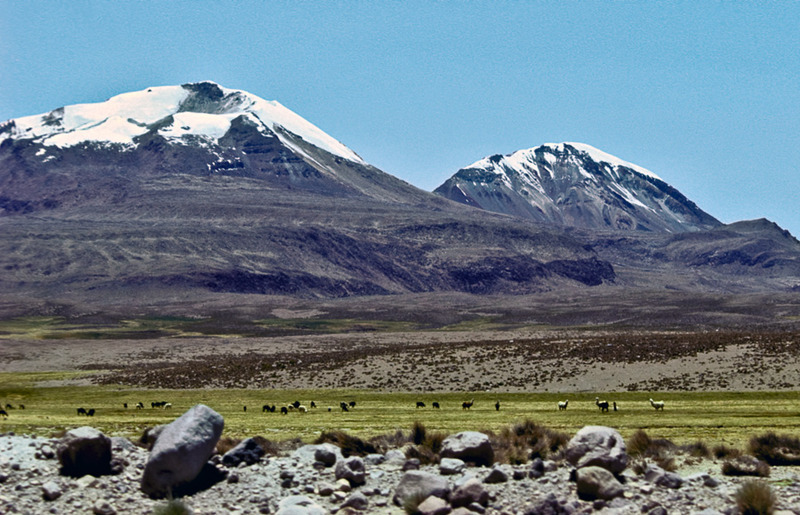 We usually climb Acotango volcano from Sajama village, where we spend the night. It is a 1h30 drive, getting us up to 5400-5600m altitude, along the road from the sulfur mine, where we then start walking along the northern ridge of the crater. Use this relief map to navigate to mountain peaks in the area of Acotango.